"I would recommend this as a great place for adjustments. Excellent people and business!" "I would highly recommend Better Chiropractic and Dr. Bates to anyone having back pain." "I absolutely LOVE the treatment I receive at this office." "Dr. Bates is the best chiropractor in the valley." "Always a great visit. Staff is awesome." "Listens to my concerns and how I feel. Works with me, very personable." Welcome to Better Chiropractic! The premier Gilbert, Arizona Chiropractic Clinic. We are dedicated to helping you FEEL BETTER, LIVE BETTER & PERFORM BETTER. For low back pain relief, neck pain relief, headaches, sports injuries, dry needling, cupping and auto injuries we want to be your chiropractor. In addition to treating patients in the Gilbert, Arizona area, we also help patients in Queen Creek, Chandler, Mesa, Val Vista Lakes, Chandler Heights, and Power Ranch. If you are in pain, would like to improve your quality of life, or increase your effectiveness in sports, your job, or fitness we would like to help. If you have recently been injured, have chronic pain, or would just like to see how Chiropractic could benefit you, then you are in the right place. Here at Better Chiropractic, we have a unique approach to Chiropractic which we believe makes us BETTER than the rest. As a board certified Chiropractic Sports Physician and Physiotherapist we treat both the muscle dysfunctions and joint dysfunctions to get you the best results available. We are excited that you have found us on the web and look forward to helping you get BETTER! 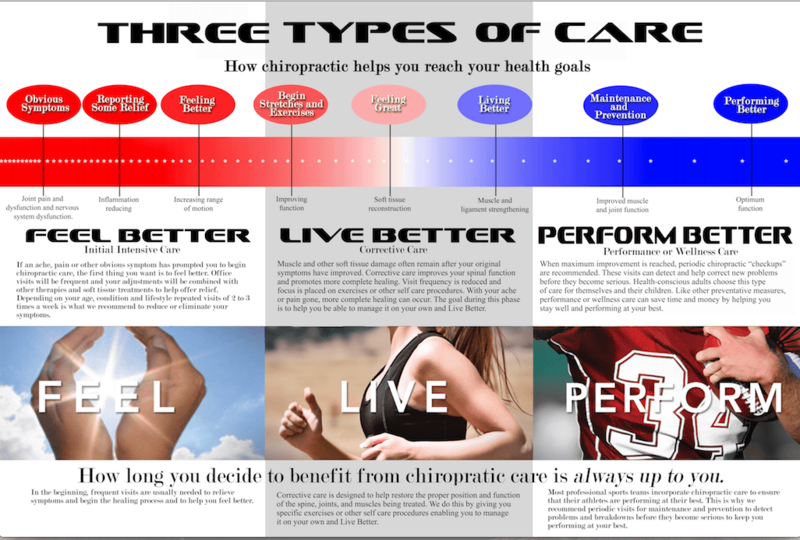 Browse through our site to see how we can help you Feel, Live, & Perform BETTER through Chiropractic. We now offer dry needling and cupping! We understand that most patients that come to us are coming because they are in pain. We use cutting edge techniques and advanced treatments to get you feeling better and out of pain as quick as possible. The faster you feel better the happier you are and our goal of getting results is attained. We are committed to put your health before our wealth! As a Board Certified Chiropractic Physician and Physiotherapist, Dr. Bates is able to provide you advanced care that will get you feeling better faster. By distinguishing himself as a non-surgical spine specialists, he is able to provide the best care available conveniently to those in the Gilbert, Chandler, Queen Creek, Tempe, & Mesa areas. Dr. Bates is a Board Certified Chiropractic Sports Physician and Certified Strength and Conditioning Specialist. Whether you are a weekend warrior looking to be more competitive or an athlete trying to make it to the next level in your sport, Better Chiropractic can help you accomplish it. The staff continues to study the latest research for performance enhancements and injury prevention to help you achieve your goals and Perform Better. We work with majority of health insurance plans. Please call us if you have questions. "Would highly recommend to family/friend or anyone. Dr. Bates is great and doesn't try to force you into any long term care or contracts, you only go when you need to." "I'm so happy and pleased with what he has been able to do for me. Not to mention he and his staff are super nice, he truly cares about his patients." "I started seeing Dr Bates just the other day when I was experiencing a lot of pain. He immediately made me feel at ease and took the time to explain everything." "I have been having back issues for the past six months, due to my work. Dr. Bates has been exceptional and is easy to chat with." "As always a fantastic experience ! We drive almost an hour to see Dr Bates because he's the best we have found."